Astro Manufacturing & Design is a full-service, turn-key, custom contract manufacturer. We provide comprehensive manufacturing services for businesses in the Defense, Medical, Aerospace, Commercial, Industrial, Technology, Energy, Automotive, and other related industries. Astro offers large and regular capacity CNC milling and turning, complete sheet metal fabrication, welding, NADCAP mil-spec painting, engineering, and total product assembly services. Count on Astro to be your full service contract manufacturing partner, now and into the future. Astro Manufacturing and Design first began providing customers with the highest quality contract manufacturing services in 1977. 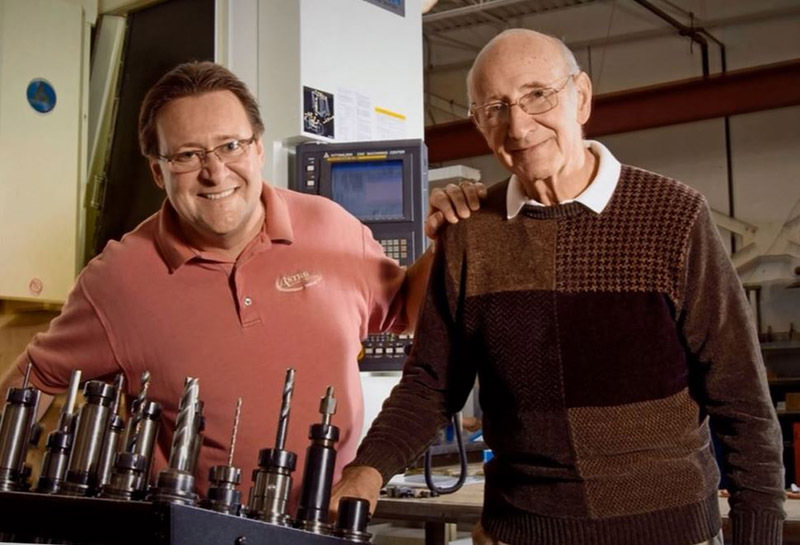 Founded by Mike Watts, Sr. and three partners, Astro Manufacturing & Design was based upon the commitment to provide customers with the highest quality contract manufacturing and total product assembly services. This principle was a cornerstone of the new company and over time, drove Astro to improve customer support by aggressively expanding capabilities and service offerings. Because of this bold expansion of services, Astro today boasts CNC & manual machining, sheet metal fabricating, plastics, rapid prototyping, painting, product development, engineering design, total product assembly and numerous other vital manufacturing services. As the company continued to grow throughout the eighties and nineties, Mike Watts, Sr. eventually acquired sole ownership. In 1999, his son Mike Watts, Jr. assumed the role of president. His vision and management initiatives have continued to lead the company into the new millennium. The original goals of the company remain as we continue to achieve the highest levels of customer satisfaction and continued growth and expansion in the years to come. 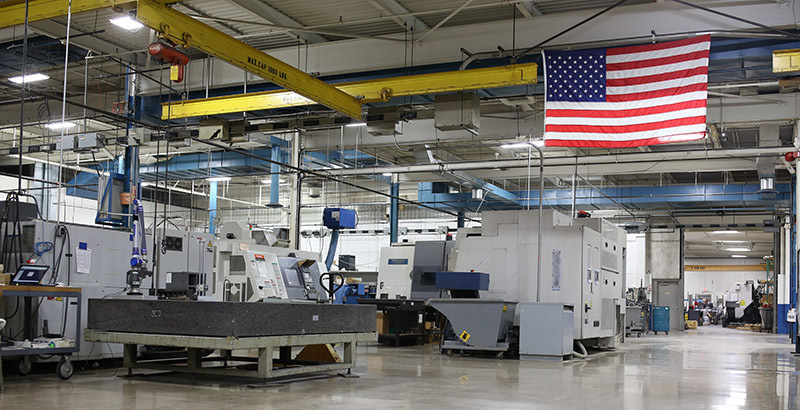 With its US headquarters located in Eastlake, Ohio, Astro’s 142,000 square foot manufacturing facility houses a variety of state-of-the-art machining technologies. Astro uses the latest in CNC machining equipment, operated by highly experienced and trained employees. Our engineering support can help guide you with innovative new product design approaches and provide the needed input that will help maximize your project’s efficiency, while often times lowering your overall costs. Our nearby 55,000 square foot metal fabrication division utilizes a state of the art laser to cut material, and the latest in fabrication and bending equipment. A full array of welding services is also available. Astro offers highly experienced and trained operators, and engineering support to assist with product design and improvement. Astro Manufacturing & Design has always “gone the extra mile”, to help our customers achieve their objectives. Unlike many contract manufacturers, we provide true, value-added services, such as design assistance, value engineering, parts kitting, Kanban and just-in-time delivery, sub-assembly and final assembly, programmed inspection and much more. Providing high value-to-cost deliverables …On time. Forming ongoing partnerships with customers to help them get their products to market faster and more economically. Offering a diverse range of machining, fabricating, and assembly capabilities that allows for a Single Source Solution. Investing in, and continually upgrading, our manufacturing technology. Using first-rate manufacturing practices to provide “turnkey” solutions. Hiring and retaining skilled, creative and responsive craftsmen. It is this commitment to you, our customer, that sets us apart from our competition and helps maximize the benefits you derive from our services. Count on Astro to deliver the highest quality full service solutions for all of your single-source contract manufacturing needs. It is one thing to invest in the latest technology, but a true full service manufacturer also understands the importance of investing in talented personnel as well. At Astro Manufacturing & Design we take this philosophy to heart, and it shows. Some of the most highly skilled craftsmen in the manufacturing industry work at Astro Manufacturing & Design. Our investment in employing top talent has allowed us to continuously provide exceptional service in a variety of manufacturing processes. Our employees range from veteran machinists and fabricators to skilled manufacturing and design engineers. This depth of experience combined with our state-of-the-art equipment, gives us an advantage over most alternative contract manufacturers. In addition, our sales and management personnel are experienced in the industries and markets we serve. By blending “home grown” talent with additional personnel bringing in a variety of outside expertise, we have achieved a balance of knowledge and skills that help us serve our customers best. Our employees are much more than just a workforce. They are encouraged to offer you innovative suggestions and ideas that can help you maximize your project’s efficiency. Astro’s employees serve as knowledgeable consultants as well as a workforce. Knowing that technology is rapidly changing, our employees are committed to continuous learning and skills enhancement. Count on Astro to continuously perform at the highest levels of efficiencies for your next project.